GEO magazine, German issue No. 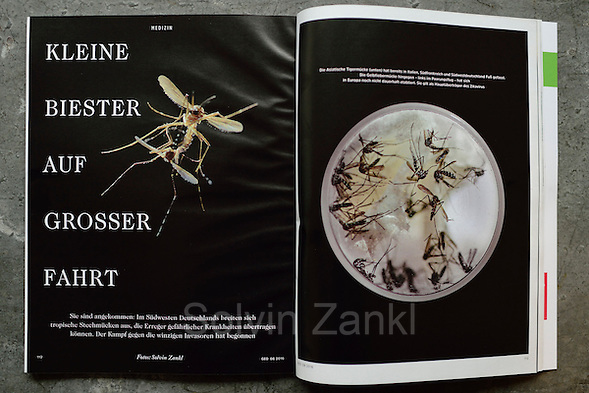 08/2016, publishes Solvin’s images about mosquitoes (‘Kleine Biester auf großer Fahrt’). GEO veröffentlicht in der Ausgabe 08/2016 Solvins Bilder von Stechmücken – (“Kleine Biester auf großer Fahrt”). This entry was posted on Tuesday, August 2nd, 2016 at 7:46 pm. It is filed under GEO, News, News 2016, Older posts. You can follow any responses to this entry through the RSS 2.0 feed.